Also, both of us can use summer time to our advantage while many are in vacation mode. Here are some good reasons to apply for government funding this time of a year. 1. Application deadlines. Some programs like the SMART Program and Yves Landry Foundation (YLF), and most wage subsidies have application deadlines later this year and they don’t take summer breaks. 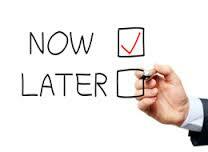 If you wanted to postpone your application, you risk missing the deadlines. For example, YLF’s deadline is currently September 30, 2016. 2. Lower competition for funding. As the funding programs’ budgets are limited, the fewer applicants for the funds are, the better it is for you. Since many will take a vacation and won’t apply until late fall, your application will have greater chances of success just because it is submitted. 3. Good mood of reviewers. All applications for government funding are reviewed and scored by human beings. It’s not a secret that human beings are in a better mood during nice and shiny summer time compared to grey and cold winter. When the reviewers are positive, so will be their scores. So, don’t delay your application until later this year, reply to this email now to start working on it. P.S. Let other people learn about theses great funding opportunities. Share this information with your clients, partners, and suppliers by forwarding this message to them or clicking the social media buttons below.